For many students, the performing arts—music, theatre, and dance—can serve as a ticket to another world. By attending a performing arts event, a developing mind experiences things never seen or heard before. By contributing, a student is forced to transform their minds to a world of notes, fiction or both. 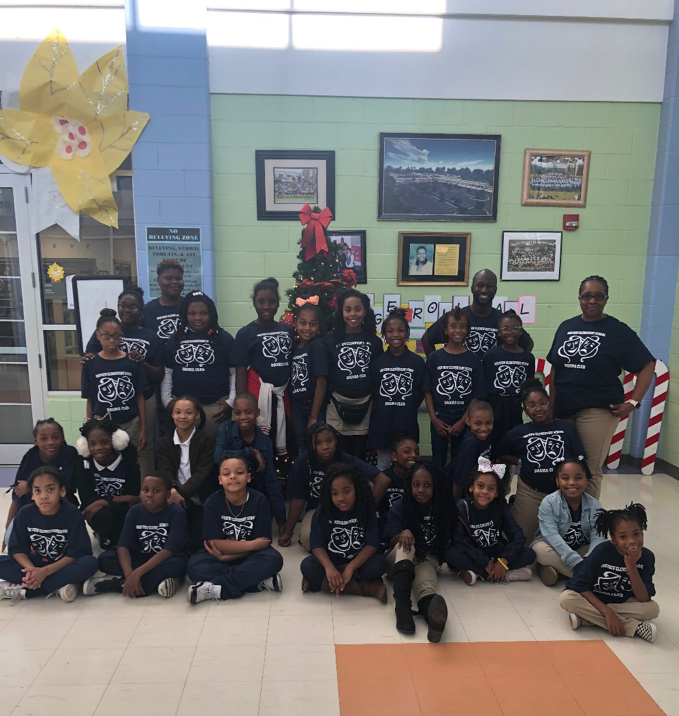 At one DeKalb County School District (DCSD) elementary school, students are learning the powers of performing arts at an early age. 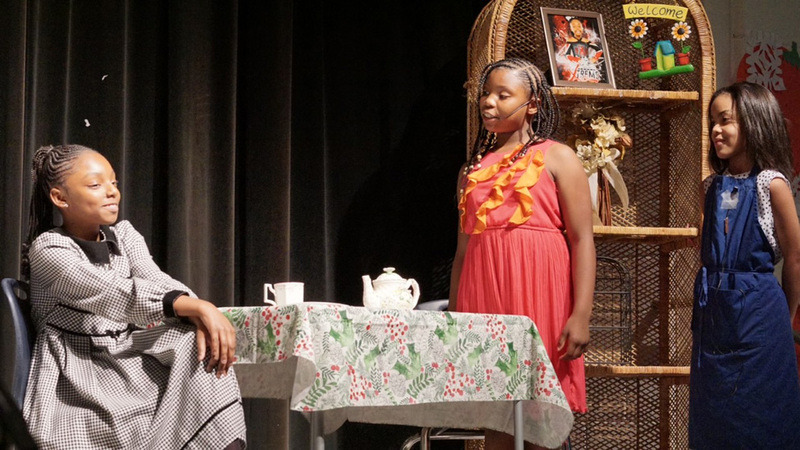 Oak View Elementary recently launched its own Drama Club at the beginning of the 2018-2019 school year. According to Valencia Heard, Oak View’s academic coach for literacy, the club serves as a vehicle for reading comprehension, cultural exposure, and pathway for shy students to showcase their talents. Heard has wanted a Drama Club at Oak View for quite some time. This year, she approached principal Sabrina Pressley with her vision, who enthusiastically approved. The club had more than 40 applicants, ultimately resulting in a firm 20 consistent, active members. While Heard runs the overall project, she is aided by fellow educators Jade Moore, Albert Danso, Miss Williams, Andrea Smith-Ward, Ashley Brown, and Kiara Wallace. In Fall 2018, students began attending the club after school for two hours once per week. There, students learned stage direction, elements of plot, and what would be expected of them. The club eventually developed its first production in December 2018, Strawberries in Winter. Heard chose the play because it was easier to understand for students. The play fuses elements of Jack Frost as well as Cinderella and Firebird, making it simpler for students to make connections to their own performance. While the play requires a lot of line memorization from its lead performers, Heard said students were up for the challenge. By the time the play debuted for parents, packing out Oak View’s cafetorium, students seemed to be seasoned veterans. Many teachers approached Heard after the production, exclaiming they did not know certain students were capable of such a performance. Certain parents, such as those of Noah and Andrew Adams, were so impressed that they are considering applications for DeKalb Elementary School of the Arts. Heard, however, never doubted the Oak View Drama Club’s ability to impress. “If you set the bar high, students will always find a way to rise to the occasion,” Heard said. The Oak View Drama Club will put on a production for Black History Month on February 28, 2019, titled Black Gold. The production will explore six themes: motherland; chains; education; renaissance; civil rights; and leadership. Heard hopes the drama program at Oak View will inspire others and change the way people think of elementary school student talent. To help support Oak View Elementary’s Drama Club and find out more information, contact Valencia Heard at valencia_s_heard@dekalbschoolsga.org.